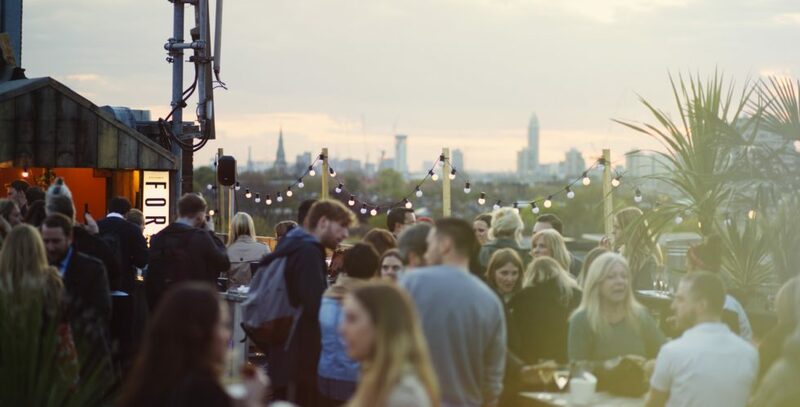 South East London is rapidly becoming the area to be in, so we’ve decided to shout about some of the unique local businesses in Peckham that have chosen to use a Dot London domain name to show what city they’re based in. From a sake microbrewery to a gluten free bakery, this short list shows off nicely London’s eclectic small business community. The appropriately named Kanpai – which is ‘Cheers’ in Japanese – is the UK’s first sake brewery. Brewed like a beer, enjoyed like a wine, this Peckham-produced sake has just four ingredients: rice, water, yeast and koji (a magic mould also used to make things such as soy sauce). After extensive research across Japan, and a lot of trial and error, the team have been exploring more full-bodied flavours to suit the palates of those that love craft beers, strong gins and red wines. They opened their microbrewery in 2017 and Kanpai can now be found across a range of shops, restaurants and bars in London. Try Kanpai when you can and join the #sakerevolution. Voted the Best Value Cinema by Time Out and Love London Awards Best Entertainment Venue in SE15, PeckhamPlex is an independent six-screen cinema that was established in 1994. They screen mainstream, art house, foreign language and independent films as well as host special events, such as concert films, charity screenings and Q&A events with directors, actors and special guests. Every Thursday they also have their ‘Watch with Baby’ screenings that are open to parents with children under 1 years-old. With up to 15 films a week there’s something for everyone. Rana’s Bakery is an award-winning gluten free and sourdough bakery where all breads are also vegan. Diagnosed with Coeliac disease and driven by her desire to have great bread back in her life, Rana launched the bakery with the aim of supplying the best tasting gluten free bread. At the bakery you can choose from gluten free or standard loaves, rolls, baguettes, bagels and more, that can be delivered to your door. There is also a choice of bread mixes so you can bake anytime at home. An idea that start in the pub while enjoying a real ale and glass of red wine, Serious Pig is a great meat-based snacking accompaniment for any beverage. The team source their pork from the very best British farms and rigorously test the quality, taste and texture of their products and are consumed with the idea of improving people’s taste experience. Their range includes their Snacking Salami sticks, bite-size sliced pork Snackingham and their pork crackling Snackling. Yogrise is an award-winning yoga studio and Yoga Alliance Centre of Excellence based in Peckham Rye’s Bussey Building. They bring some of London’s top teachers to the area, offering a wide range of classes every day of the week. They also provide community classes which are donation based to help raise funds for a nominated good cause of the month including Southwark Wellbeing Hub, Peckham Food Cycle and Cool Tan Arts. Yogarise additionally support new and emerging local artists and designers by exhibiting their works in the studio.